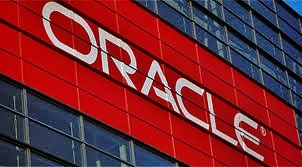 Job Vacancies in UAE and Middle East: Oracle announces 1000 New Jobs in Europe, Middle East and Africa. Oracle announces 1000 New Jobs in Europe, Middle East and Africa. Oracle announces 1000 new jobs in Europe, Middle East and Africa. Under the 'Change Happens Here' banner the company is hunting for the next generation of ambitious, driven, digitally savvy Sales Representatives to support the growth of Oracle's Cloud computing business. The move comes on the back of the company recently posting record financial results with total cloud revenue up 58%. Oracle is now the fastest growing scaled cloud company and is predicting its cloud business will accelerate into hyper-growth in the current year. Candidates can apply immediately for a range of positions throughout EMEA, by visiting the 'Change Happens Here' page - oracle.com/experience. Oracle is looking for graduate level candidates who have a genuine interest in technology and the passion for the transformation cloud computing can bring to enterprises. Tino Scholman, VP of Oracle Cloud in the EMEA region, commented: "Our cloud business is growing at incredible rates, so now is the right time to bring in a new generation of talent to our company. We are looking to hire relationship focused people who are self-motivated and smart, who thrive for business transformation for our customers and love delivering great results. Diversity is one of the cornerstones of the unique Oracle culture. We want to offer 1,000 talented individuals the opportunity to change their career for the better, to access the best possible training and development, as well as the chance to accelerate their career within the fastest growing Cloud company at the centre of a generational shift to digital enablement."